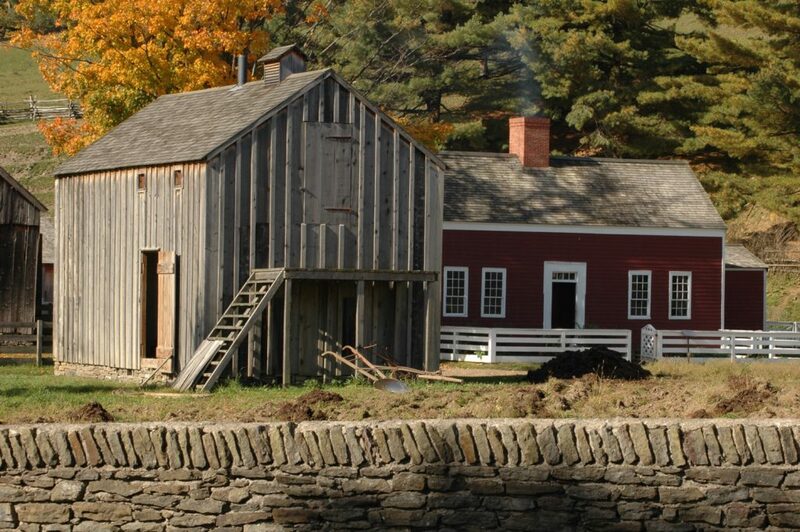 The Lippitt Farmstead is a living example of how a farm would have operated in the mid-nineteenth century. 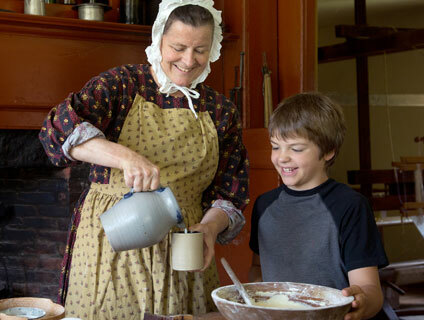 Seasons are celebrated at the farm with the changing scenery and changing occupations. 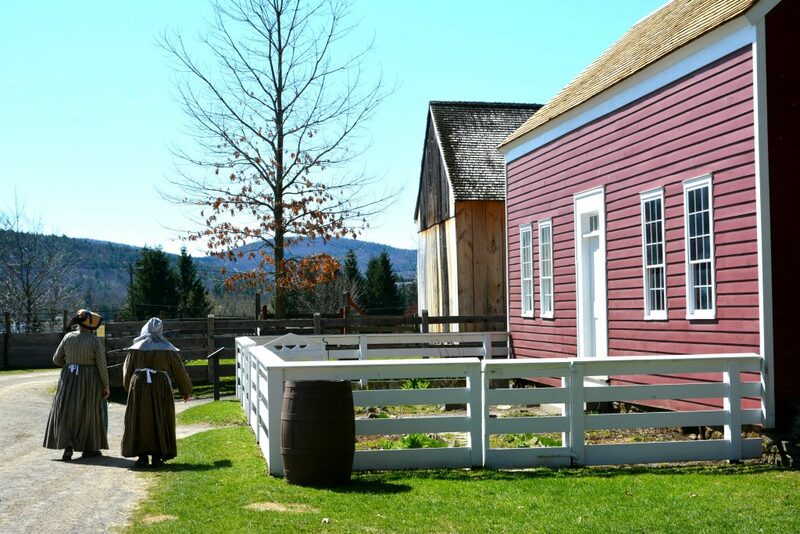 Cultivating and harvesting of hops (the area’s most valuable crop of the period), nurturing of young farm animals, shearing the sheep, as well as combing, spinning, and weaving the wool, were just a few of the responsibilities of the farmer. Today, children will delight in petting and feeding the young animals in the Children’s Barnyard. 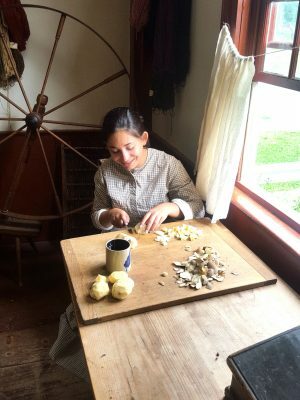 The farm is welcoming, friendly, and a tribute to the pioneering spirit that shaped the American countryside. 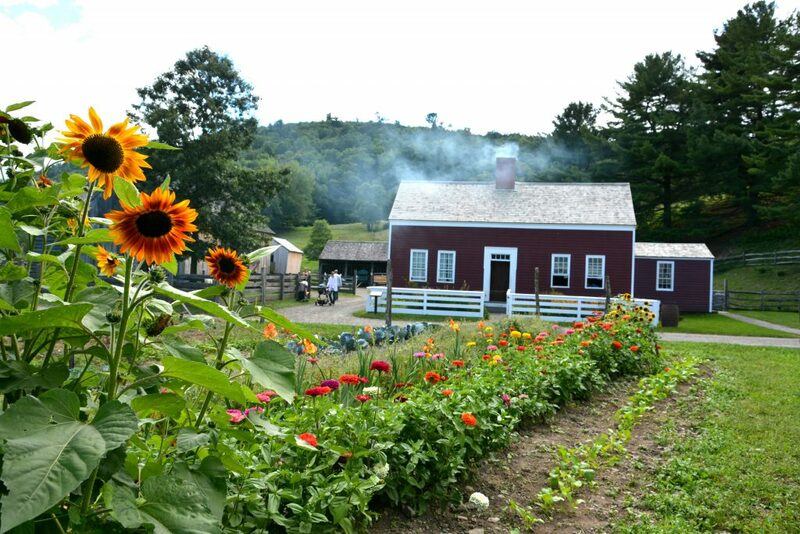 The farmstead includes two barns and six other outbuildings, as well as animal sheds, a smoke house, and the Lippitt family farmhouse. 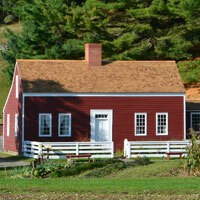 The farmhouse reflects the design of houses in Joseph Lippitt’s native Rhode Island. The house dates from 1800 and was built in Hinman Hollow, New York. Farming was hard work and required long hours, particularly in the planting and harvesting seasons. This made it important for the family to have adequate nutrients and calories in their diet. 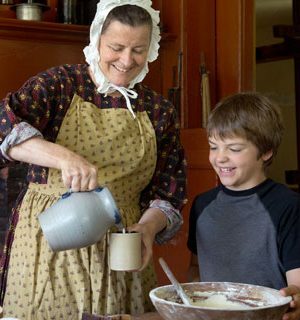 In the mid 1800’s, a farm family was very dependent on food they raised and grew on their farm to sustain them throughout the year. 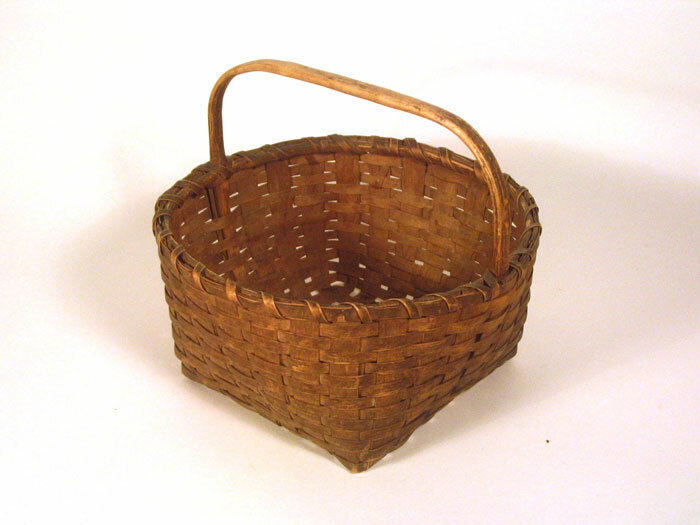 The success of their crops each year determined what they would be eating. If it was a bad year for crops, their diet would consist of a lot of protein as they would need to rely heavily on their livestock for sustenance. If it was a good crop year, fruits and vegetables would play a large role, allowing them to conserve their meat animals to produce milk and eggs. 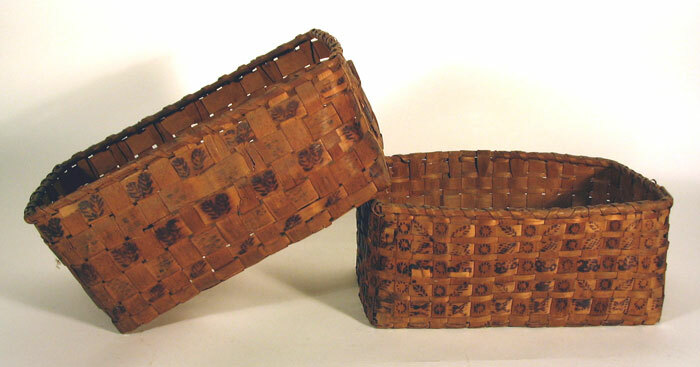 Milk provided by cows would be used to make mainly cheese and butter, which were preserved and stored in the cold cellar. 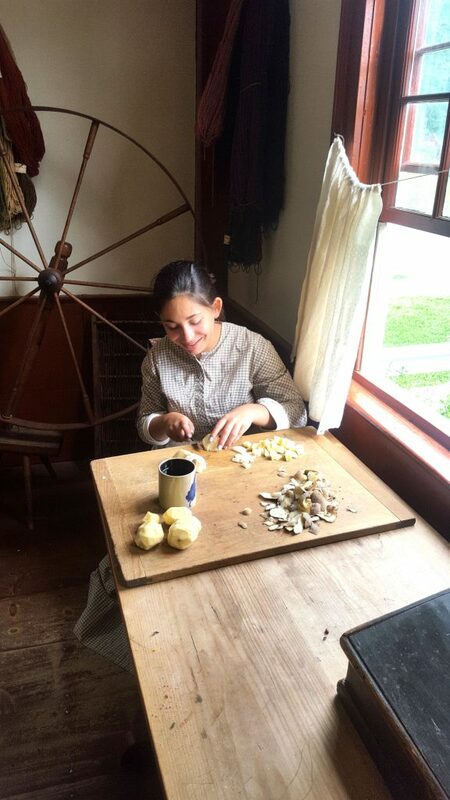 Pouring, stirring, and helping is the role of students at our museum. 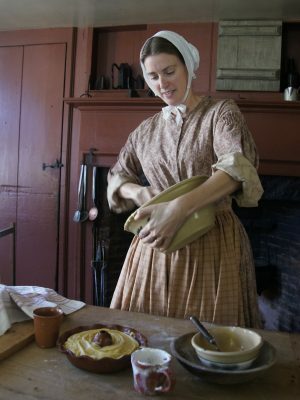 To make sure they had enough food to last until the next growing season, the family used much of their time in food preservation. 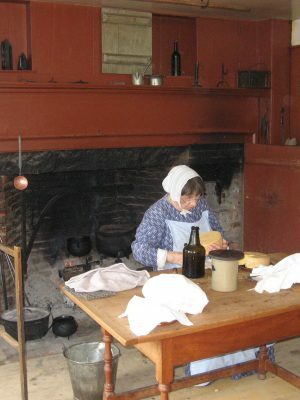 Fruits and vegetables would be dried by thin-slicing and hanging close to the hearth. Pumpkins and apples were prime crops for this method and could be reconstituted easily with water or fresh milk. Tomatoes would be used to make “cats-up”, a savory sauce used to flavor soups and meats. 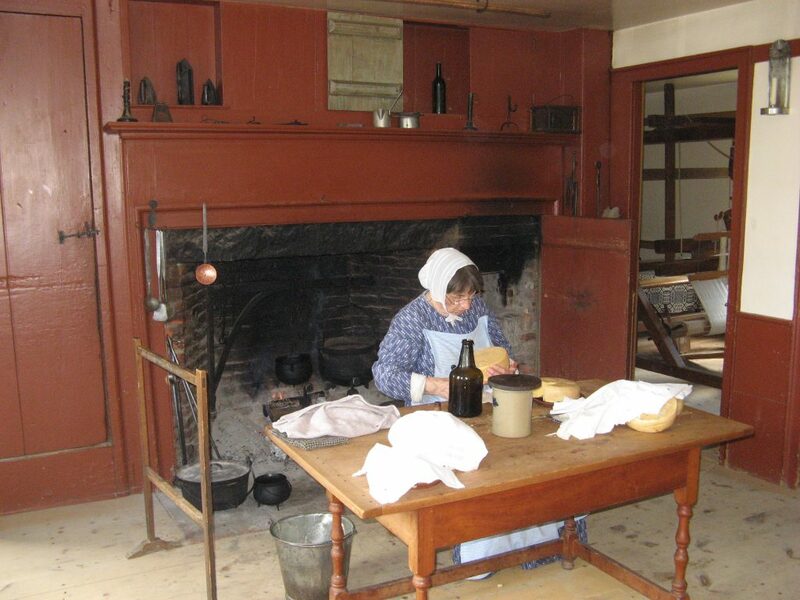 Many vegetables were pickled in vinegar and stored in the cold cellar. Meats were soaked in a heavily salted brine, smoked in a smoke house, then stored in a barrel of wood ash. The wood ash deterred rodents. Before using, the meat needed to be soaked and rinsed several times in fresh water. Making cheese involved several steps. First, milk was separated into liquid whey and chunky curds. The whey was drained off to leave the curds. 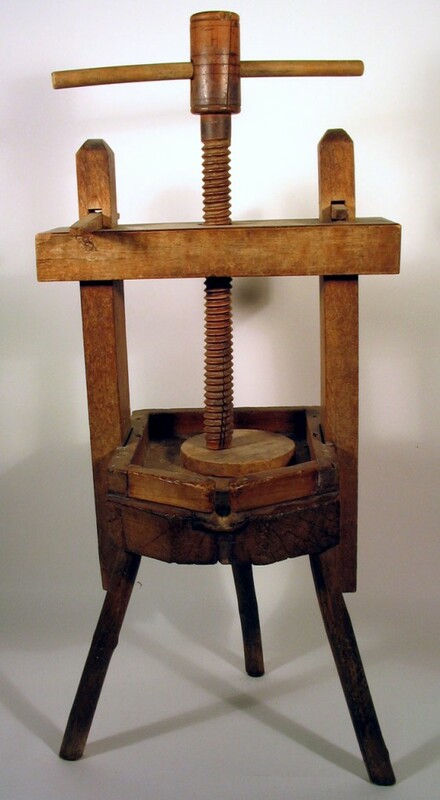 A cheese press squeezed out the last bit of liquid, and the blocks of cheese were rubbed with lard or butter to keep out air while the cheese aged. This easy, delicious and nutritious soup uses the vegetables harvested late in the year, which can be preserved in a cool, dark room or root cellar for several months. 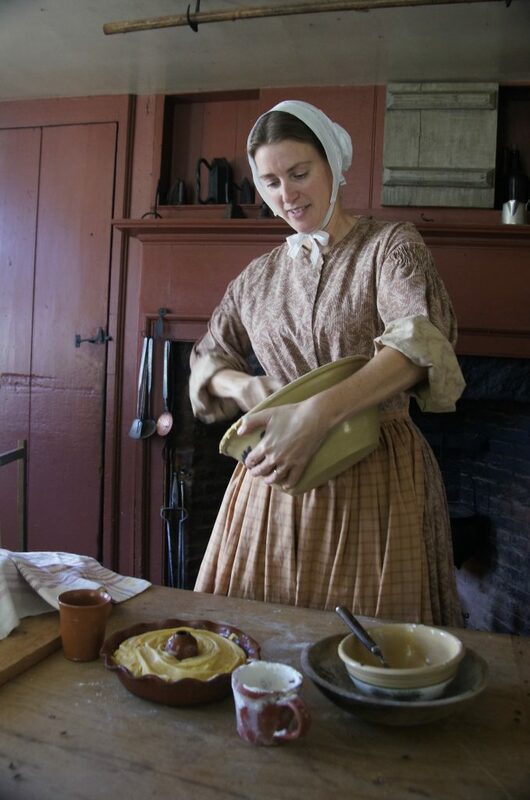 We regularly cook and eat this soup at the Lippitt Farmstead. Peel and cut down all the vegetables very small. Fry the onions in 1/2 to 3/4 cups of butter until clear. Add prepared vegetables to onion and butter, fry until warmed through. Add water and simmer until tender and broth has reduced by approximately 1/4 original volume. Season with salt and pepper to taste.